New Mexico State University alumnus Don Cleveland discovered something at Princeton University that he might never have known had he not left his hometown of Las Cruces after earning his physics degree from NMSU in 1972. “I realized that kids from New Mexico State University can compete with anybody,” Cleveland says. Now, a field-leading researcher in the area of genetics and neurosciences at the University of San Diego, Cleveland was among a handful of scientists to receive a $3 million Breakthrough Prize in December 2017. Watching his father, who was a physics professor at NMSU, slowly disabled by Parkinson’s disease, motivated Cleveland’s interest in neurosciences. His breakthrough discoveries could also impact future treatment of other neurodegenerative diseases such as Lou Gehrig’s disease, Huntington’s disease and Alzheimer’s disease. Cleveland returned to Las Cruces in February 2018 to be honored by NMSU’s College of Arts and Sciences at the annual “A Starry Night” event. He says it was an honor to be back in his hometown to receive the award. 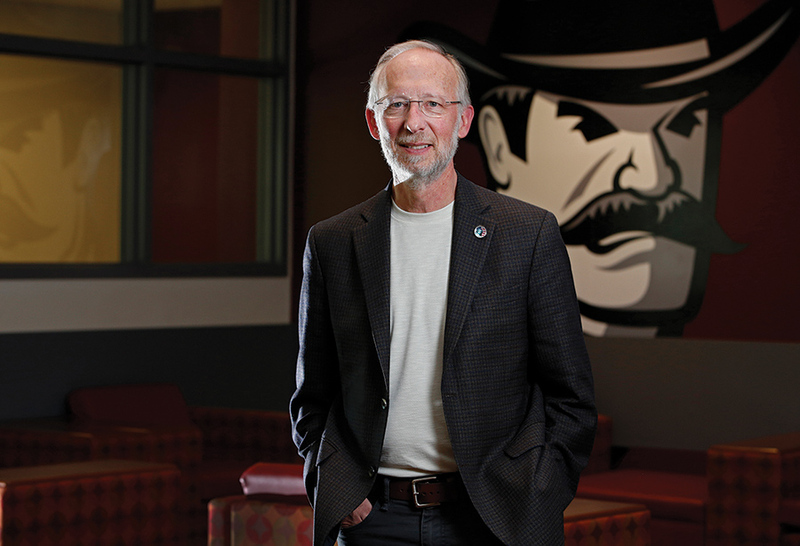 Don Cleveland, 1972 NMSU alumnus, received honors for his breakthrough discovery in the treatment of neurodegenerative diseases like Lou Gehrig's and Alzheimer's diseases.